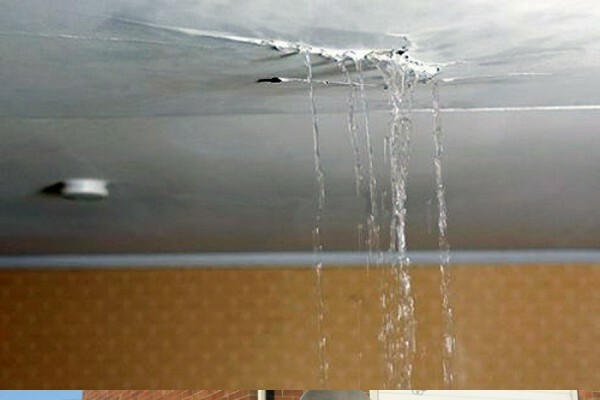 Do you need a quote for Water Damage Repairs? Water damage repairs in Cheshire may come from a burst pipe, a frozen pipe, a leak from the bathroom or even flooding. The correct management of the drying and repair process is essential. It may initially look like just a small stain on the ceiling however water can cause significant damage to your home if it’s not dealt with correctly. Damage resulting from water leaks are progressive. The longer the water flows or wet conditions exist, the more is absorbed into the building and the greater is the recovery problem. Merely stopping the source of the incoming water does not stop further water damage, though it is an obvious and critical first step. Here at Eurodamp UK our professional management team for Cheshire will work on your behalf to help you to organise your water damage repairs claim and restore your property to its original condition as quickly and as thoroughly as possible with our qualified technicians. Whether from an internal or external source, water remains one of the hardest substances to prevent from damaging your property and possessions. Our specialist water damage technicians will remove water from your property as quickly as possible to minimize further damage. Quick removal of contaminated water is vital to reducing permanent damage to floors, walls, cabinets and fixtures. Once the contaminated water is properly removed, we will assess the damage to both the structure and its contents, and then formulate a plan to get your home or business back to normal with minimal disruption as possible. As UK leaders in the storm and water damage industry, we have advanced training and expertise, not to mention a tremendous amount of hands-on experience. We use this training and experience to quickly dry your home and restore it back to pre-storm condition. Need Water or Flood Restoration Service? Eurodamp UK have a panel of experienced Loss Assessors, should your claim warrant this level of help, that we can recommend to you and when using our contractor repair network, this service is free of charge. We also have a team of qualified Drying Technicians, Surveyors and structural Engineers ready to assist people in Cheshire when required. If your have property damage from a weather related disaster, you can trust Eurodamp UK to get your property restored quickly and properly. Contact us today if you need weather damage restoration services. Please Note: Our surveyors will carry out a free inspection on the damaged property and provide a cost for repairs. However some written reports will carry out a charge to cover operational costs which will be refunded upon completion of works. The average cost of a written report costs from £85.00 to £220.00 depending upon the type of damage / location and service required. Depending on your location a survey fee may be required to prior to a visit and all payments will be refunded once the inspection has been carried out. All payments can be made over the phone using all major credit / debit cards and including bank transfers can be made.